Please transfer all your account queries to Jacky at yogafirst@optusnet.com.au If you want a direct answer from me, then as usual, yogafirst@netcon.net.au. All mail to go to PO Box 14, Mt.Macedon. Vic. 3441. Although I have discontinued regular newsletter (replaced with a daily FREE VIDEO), I thought I would send one out to you at this time because there are a number of changes and additions, and I need to let you know and be sure everyone one of you has the opportunity to read it. The new course is on the ETSY site. www.myyogabooks.etsy.com. Most of you judging by the modules, STILL think that hypermobility is only about people who can over extend their bodies, the flexible – the is not the case. hypermobility is a flag, a sign which tells us that a person has a collagen mutation. Passed down from female to female (mostly), more female have it than males, and it is even more prevalent in African American peoples. This is a huge subject and researchers are only now coming to grips with it. You could lead in the field. Choose to learn more. I have given you a rest, but now I am nipping at your heels once again. Watch my FREE UTUBE CHANNEL. Hypermobility, Purushatras, and so on. There is lots there – do one video per day.. Google “Jahne Hope-Williams You Tube”. We had bumper size food hampers which we gave out on Christmas Day. If you know anyone local who needs a help, let me know. You can come and pick up a box of food from me and deliver it. We are even helping to support a small school for autistic children in Niddrie with our food boxes. The school was having to make a choice between teaching aids and food… That is what we are here for. Students, parents. Singles, everyone finding it hard to make ends meet. There are times when any one of us would be helped by a delivery of food from “the free supermarket”. I am pleased that I have found a balance between the art, the teaching, the admin and the yoga. I even have had time to “cook” and work (and pick the raspberries) in the garden, although I am looking for rain (as is much of Australia). I have new students and they come to me, not because I do fabulous yoga, but I teach REAL yoga = yoga plus philosophy. You can too. especially with the help of our FREE U-TUBE CHANNEL, Google “Jahne Hope-Williams You Tube”. This week I collected 30 Wasps in the Wasp traps. Last year a couple of my trees near the pond were covered in wasps – today? One or two. So getting the queens has made a huge difference in my garden. I can now think about bringing back my bees. EXHIBITION AT MY HOME STUDIO. Thanks to Jacky and her trusty electric drill, I have just made some simple changes in the studio which means that I can easily access the paintings and the books, and exhibit regularly in my yoga/art studio. I will shortly be having an exhibitions of my miniatures made into pendants (they are beautiful), and small angels. These were inspired by my visitations by angels, and the 9/11 vision of the Twin Towers being destroyed and the crowds angels flying upwards. I will never forget it. At that time I made a vow to paint 1,000 angels which I have done (with only ONE left). ART CLASSES: Will start up again on the 8th January between 7 and 9pm. All you need is the desire to paint, and the courage to express yourself. No art experience necessary. All materials will be provided. By the end of the class you will have a unique image to take home, and frame to put in your own meditation room. It is about LINEAGE. You trained with us, you are a part of our lineage (or we are a part of yours), Registration supports this. PLEASE, PLEASE CHECK YOUR REGISTRATION. You need to be currently registered for your insurance to be valid, and you will need to supply a copy of a valid registration to be insured. Please check your insurance requirements – keep up to date. They change quickly. REGISTRATION – CONTINUING EDUCATION REQUIREMENT. THIS APPLIES TO EVERYONE. You will find them on our yogabeautiful web site. Our last classes for the year will be on Saturday 22nd December, and we will re-open on Monday the 7th January. The Church the same. PARKING HOME STUDIO – 37 Morris Road, Woodend. PLEASE, PLEASE Park on white gravel in front of the studio. I had the garden made into an attractive parking lot. When it was lawn you didn’t even think about parking on the lawn or the nature strip. Now it is especially for parking, you park blocks away and walk. What is this about? If my park places are full, you can park in the drive-way directly opposite in front of double grey garage rolladoors. Not in front of neighbours driveways please. THIS MONTH IN TWO SESSIONS $30: The first session a workshop refresher in PPT 12.30 to 2pm, and then we will Learn GRACE HEALING 2pm to 4pm. This is not a stand alone session, although you can use this knowledge in your yoga classes. DATE: Sunday 6th january 12.30 to 2 and then 2pm to 4pm at my home studio (37 Morris Road in Woodend –There is no need to book. Bring writing materials, and be early. If you are teacher Training student then the cost of the afternoon is $30 for the two sessions, or $20 for one. This fee applies to everyone. If you are a visitor and not formally a student teacher with us then the cost is $20 for a two hour class, $30 for a 4 hour class and $30 – for a 4 hour class! Come. BENDIGO Teacher Training classes – Next class is the first Tuesday in February at 3.30pm Turn at the Metricon building on the highway in Kangaroo Flat. It is a traffic light intersection, just up from Bunnings. Crusoeden is the building behind Metricon building, and faces Church Street. It’s easy to find. 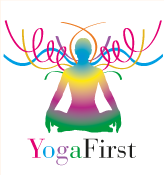 Cost: $20 per class (to bring it in line with the cost of a yoga class) for everyone who attends – thank you. (Directors – Jayne Boyle – crusoedenbody@bigpond.com). Regular classes held – please email for timetable. I write books to help you in your course. Please download them, and then please use them in answering your modules. HYPERMOBILITY – The Course…. A certificate course. If you teach yoga, you need this. No excuses. Chakras – Your personal power house. * Yamas – The guide for life * Restorative Yoga * Yin Yoga and Yin Yoga for Kids * Red String of Fate *Chakra Enhancing oil * Rose Petal Jam – a Cookbook * How to be a Yoga Teacher by Home Study * The Sacro Cranial Connection * Tea leaf Reading – The Chart * Yoga for pregnancy * 5 ELEMENT YOGA (The 5 Tibetans) + charts * SacroCranial Connection * and more…. Please never imagine that I don’t read your modules – I do. If you misquote, if you don’t understand (no matter how many pages you do) I will pick it up. What will you find on ETSY? YAMAS, CHAKRAS, HYPERMOBILITY, THE FIVE TIBETANS AND TEMPLATES and more. There are lots of books there to help you in your progress to graduation. If you do your course WITHOUT reading the hypermobility books, you will find your work being questioned. DRAWINGS, DOWNLOADS. You will notice on the bottom of every assessment there is a reminder that drawings need to be done, and in your own hand, and downloads of any kind will not be marked. Every page needs to have your name, module number, and page number. EMAIL/POST: Please use the email address yogafirst@optusnet.com.au for anything to do with accounts, or the usual yogafirst@netcon.net.au. to get to me. If you do want to speak to me personally, then email, make a time suitable for both of us, and then we can chat. If you do it this way, rather than just “wing it”, you can be reasonably sure I have time, and you will get my attention. POSTAL ADDRESS is not at my home –Please address all land mail to PO Box 14, Mt.Macedon. Vic. 3441. Until you see a change written here in large letters, that is where it will be. I just wanted to thank you all for you good wishes and support over the past year which has been a most interesting one – I think next year will be splendiferous to use a “poppinism”. Our You Tube channel is doing wonderfully, and for my Christmas Present I would ask you all to subscribe. When we get to 100 subscribers we get our own tag, and I think that is a worthwhile goal. Probably other goodies will be available -but to be able to go directly to the channel will be great. At present Google “Jahne Hope-Williams YouTube” which will get you there. I am still learning how to use all the features on the channel. Please, please SUBSCRIBE – it costs nothing, it is free, gratis…. You will notice that I am gradually deleting all but three of the HATHA YOGA CLASSES. These will be replaced by “REMEDIAL” or ‘RESTORATIVE” Yoga Classes. I have taken to calling our Restorative Yoga REMEDIAL YOGA, because Restorative is done so many ways, and like Yin, may not be helpful.. it says nothing to people – whereas REMEDIAL yoga is quite definite, and implies therapy right away. We will be moving the Church classes from the hall to the Church itself from the 7th January, and the time slot will be 1pm NOT 11am. They will be Restorative (Remedial) Classes and not HATHA classes. We will also be starting “Remedial Yoga” at the Riddells Creek Uniting Church from 11am on a Tuesday morning. Please visit the web site from time to time to see changes in class times. I won’t be putting them in newsletters. I look forward to meeting up with my students in the new year. Please come to class, and to teacher training sessions. A Merry Christmas and a joyous and safe new year to you one and all. NAMASTE, Love and blessings from Jahne and everyone at The Australasian Yoga Institute. I don’t know if i will be able to do another newsletter before we finish for the year (not that i will be “finished for the year”), and I just wanted to thank you all for you good wishes and support over the past year which has been a most interesting one – I think next year will be splendiferous to use a “poppinism”. Our You Tube channel is doing wonderfully, and for my Christmas Present I would ask you all to subscribe. When we get to 100 subscribers we get our own tag, and I think that is a worthwhile goal. probably other goodies will be available -but to be able to go directly to the channel will be great. At present Google “Jahne Hope-Williams YouTube” which will get you there. I am still learning how to use all the features on the channel, but the analytics are great, and i can tell that HYPERMOBILITY is what is most often watched, and for the longest time. So be sure we will do more of these. I will now be loading them on a PLAYLIST, something I have learned about today! Please, please SUBSCRIBE – it costs nothing, it is free, gratis…. Our classes finish on Saturday, the last being the 12.30pm Restorative (Remedial) and we don’t begin again until Monday 7th HOWEVER, TEACHER TRAINING CLASS will be happening on Sunday the 6th. the same as before. 12.30 to 2, then 2 to 4. We will be demonstrating PPT, and some new directions in PPT. I have taken to calling our Restorative Yoga REMEDIAL YOGA, because Restorative is done so many ways, and like Yin, may not be helpful.. it says nothing to people – whereas REMEDIAL yoga is quite definite, and implies therapy right away. Please visit the web site from time to time to see changes in class times. I won’t be putting them in newsletters. Ditto Registration reminders etc. I look forward to meeting up with my trainee teachers in the new year. Please come to class, and to teacher training sessions. A Merry Christmas and a joyous and safe new year to you one and all.